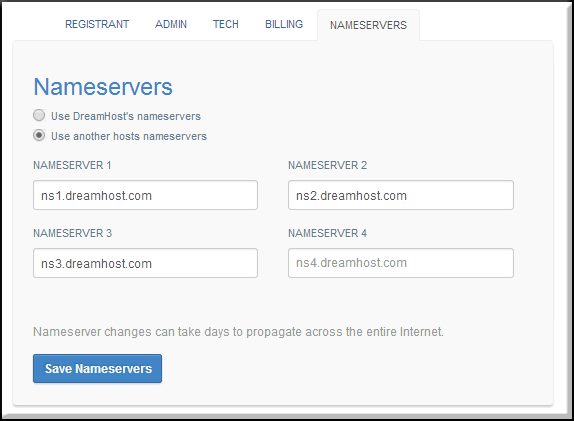 How to correctly add Custom Nameservers to your domain. Then the nameservers will need to update on the domain. Once updated in the system, then the domain will propagate. Please note dns changes can take 4-48 hours to fully propagate across the internet.